KAMPALA– UNHCR, UN Refugee Agency, Office of the Prime Minster (OPM) and partner agencies launched a communication system for refugees and asylum seekers in Uganda on Wednesday. The two-way communication system will be piloted in Nakivale and Kiryandongo settlements before it is rolled out to all refugee settlements in Uganda by the end of the year. The FRRM will include for the establishment of a centralised call centre with an inter-agency toll-free countrywide to allow refugees report urgent protection and assistance-related problems, receive guidance on queries that they raise, lodge complaints about sensitive incidents or obtain general information and advice. The different mechanisms are aimed at enhancing options available to refugees to choose the channel most favourable for them toreport their concerns basing on their personal situation and the nature of the issue; according to the UNHCR Representative in Uganda, Joel Boutroue. “At UNHCR, we work hard to bring in innovative approaches to improve protection and the delivery of assistance in an efficient and timely manner. “Refugees and asylum seekers need critical information in real time. They actively seek updates and advice, but often get a range of misinformation on social media. Setting up a call centre for refugees will immediately address some of these issues,” Boutroue said. 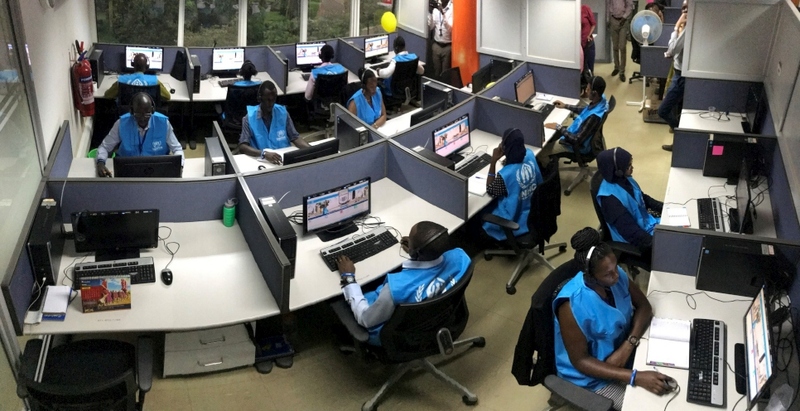 The call centre will fist receive calls from Kiryandongo and Nakivale for at least one month before it is expanded to all refugee settlements in the 11 districts and Kampala by the end of the year.